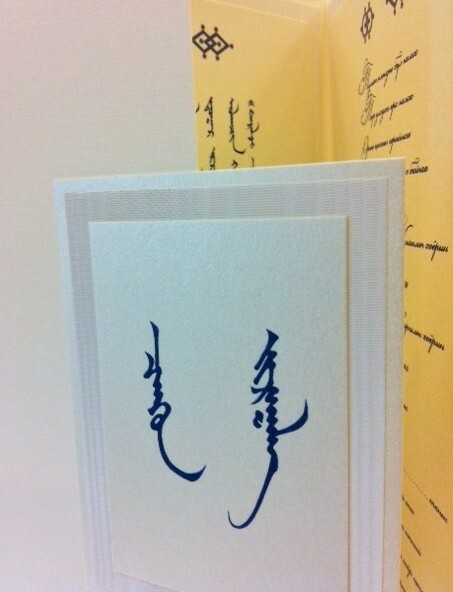 Our clients just picked up their dual-language, Wedding Invitations printed in Mongolian and English. 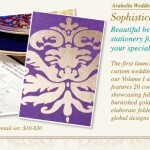 These beautiful wedding invitations were designed by Hyegraph Invitations & Calligraphy using The Lemon Tree Stationery. 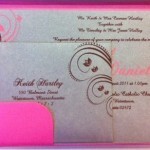 The above Dual Language Wedding Invitation is printed in Mongolian and English on layers of cream and shimmer stationery. 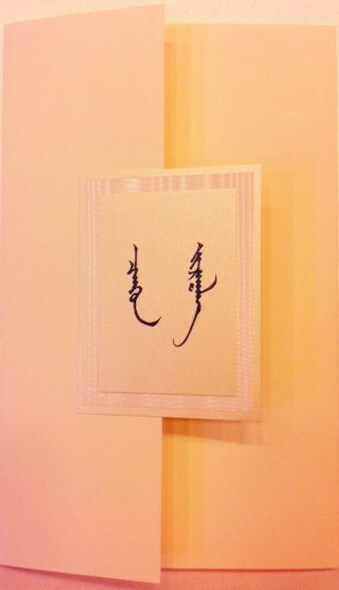 The inside of the Wedding Invitation is accented with the family crescent. The ink color is Navy. 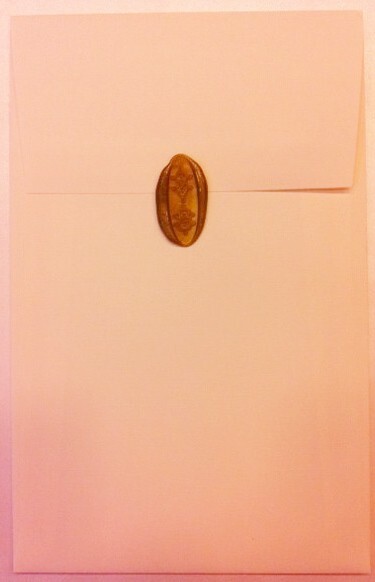 The above wedding invitation shows the closed view of the invitation with the couple’s Initials printed on the Tab on layers of stationery in Navy Ink.